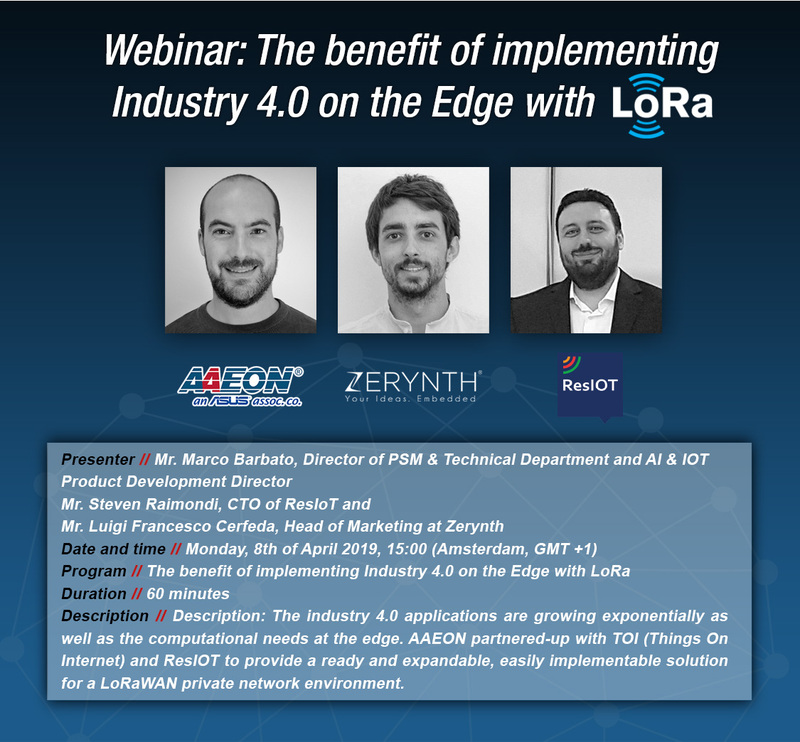 The industry 4.0 applications are growing exponentially as well as the computational needs at the edge. 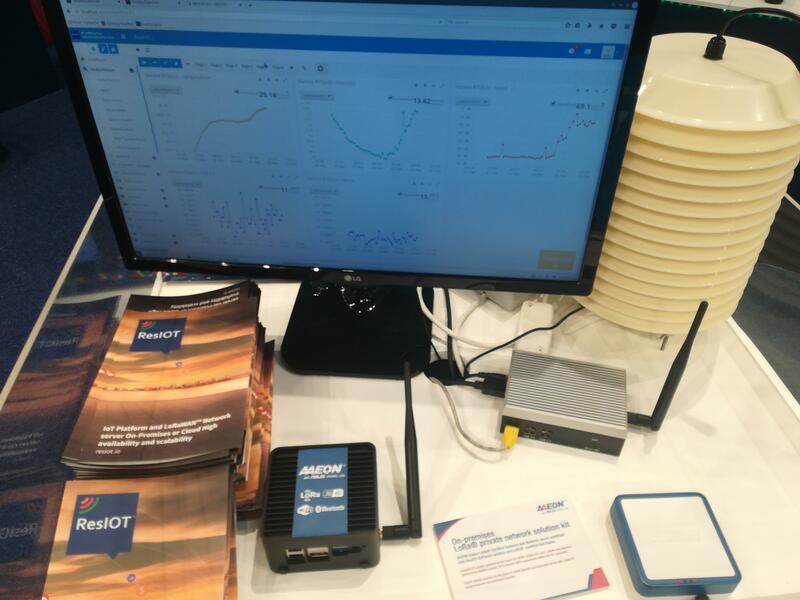 AAEON partnered-up with TOI (Things On Internet) and ResIOT to provide a ready and expandable, easily implementable solution for a LoRaWAN private network environment. 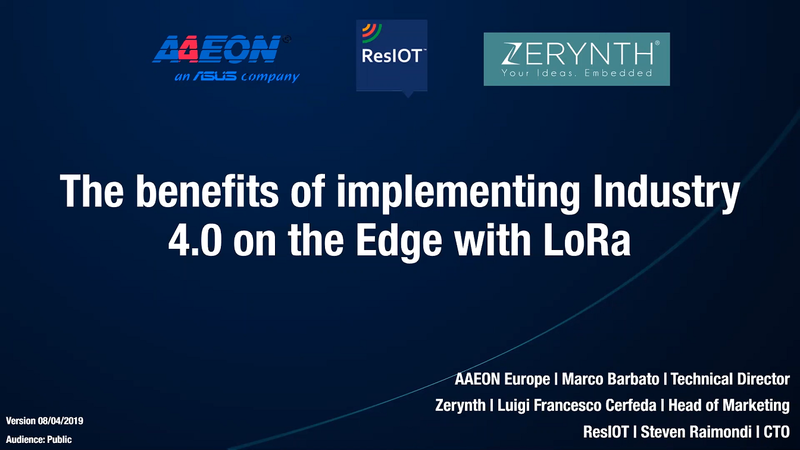 Participants will be given a 32 devices ResIOT ™ FSI License for Free! 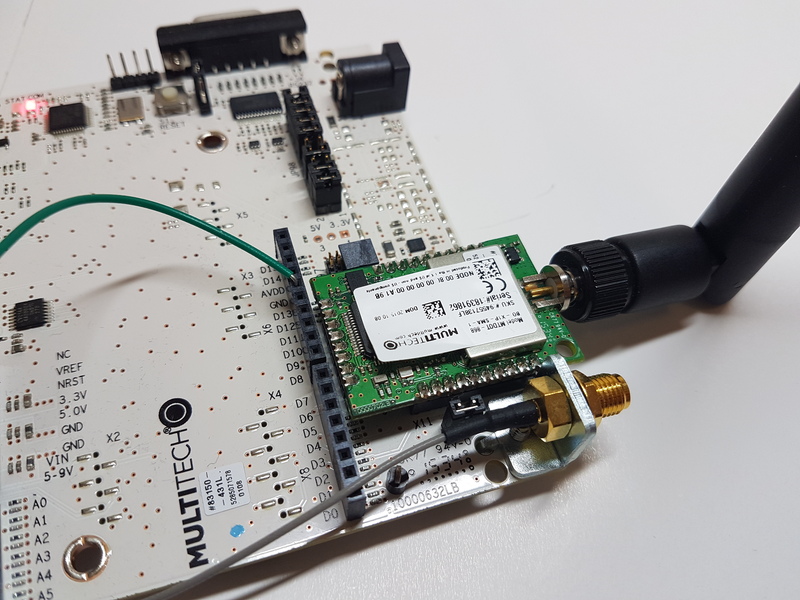 Participate to this workshop to discover the benefits and functionalities of ResIOT™, the opportunities offered by new IoT technologies, learn how to configure and connect a MultiTech gateway via Secure VPN to ResIOT. 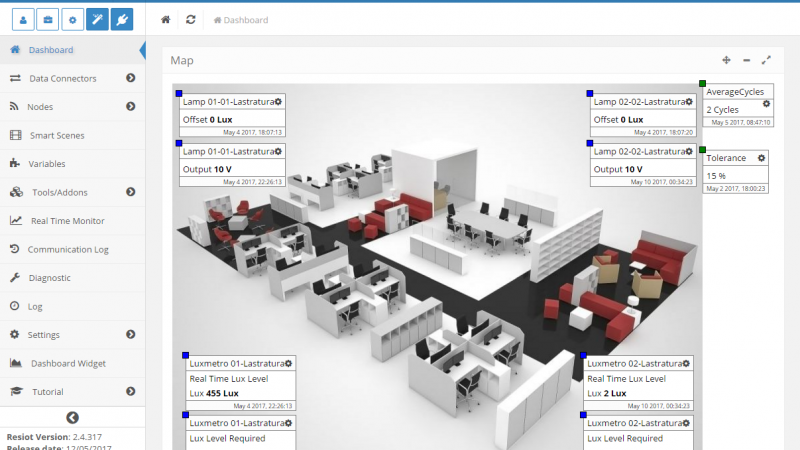 We will connect sensors in ABP and OTAA mode, and we will create applications and automation for monitoring, reporting and alerting functions. 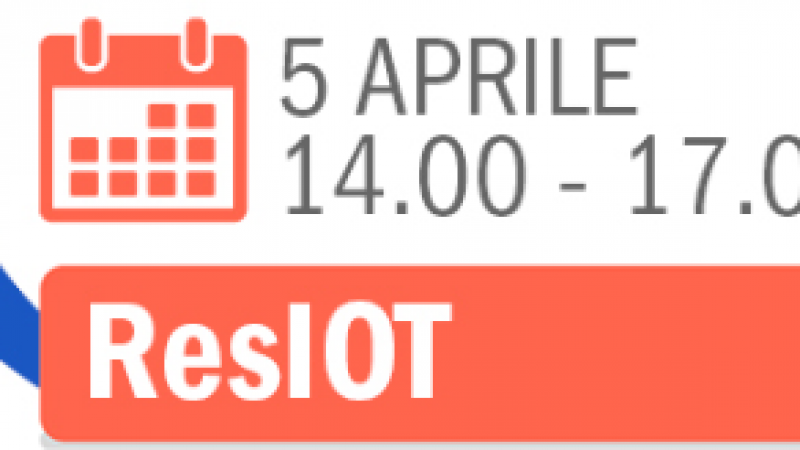 If you participate to the Workshop you will receive a 32 devices ResIOT™ FSI License for 1 year for Free! 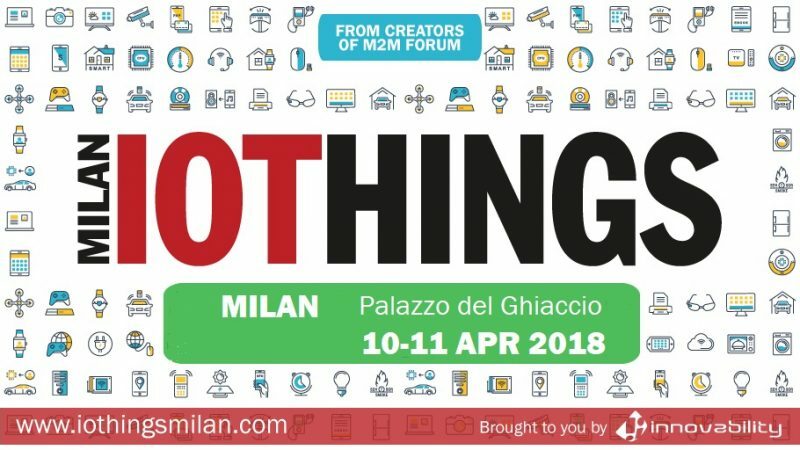 IOTHINGS is the most important Italian event about IoT technologies and it will take place in Milan on 3rd-4th April. 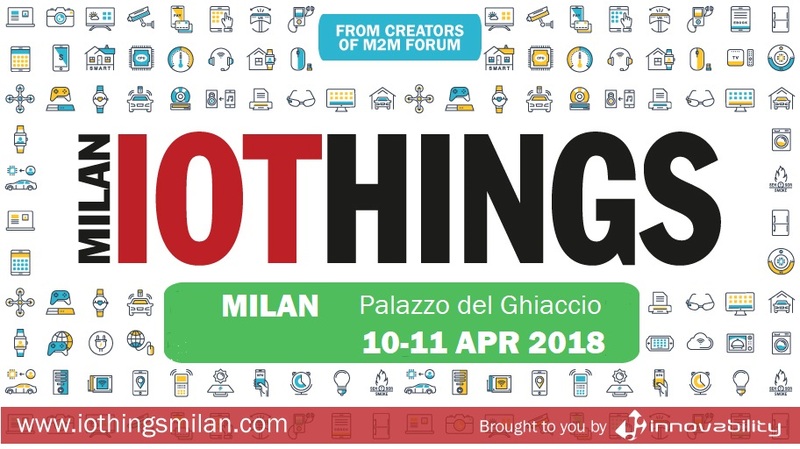 The 2018 edition of IOTHING Milan saw over 2200 participants, 17 conference sessions and 196 speakers involved to allow people to better appreciate the quality and updating of the topics proposed in the various sessions of the event. 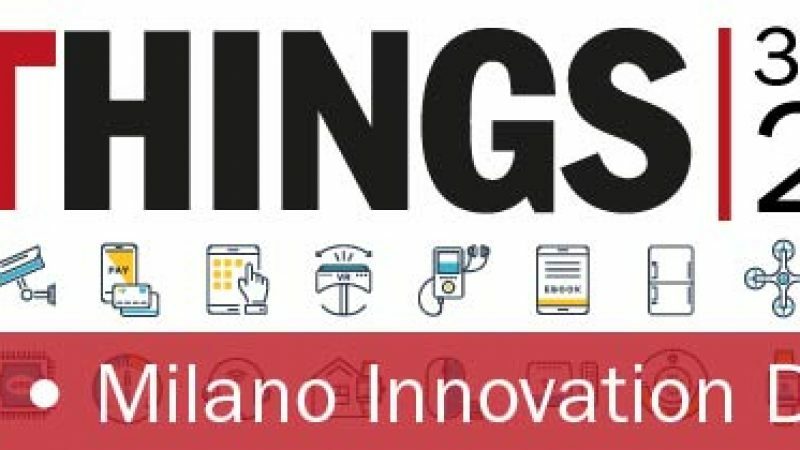 IOTHINGS Milan 2019 will take place in the new MIND – MILAN INNOVATION DISTRICT, built in the area that hosted Expo 2015. 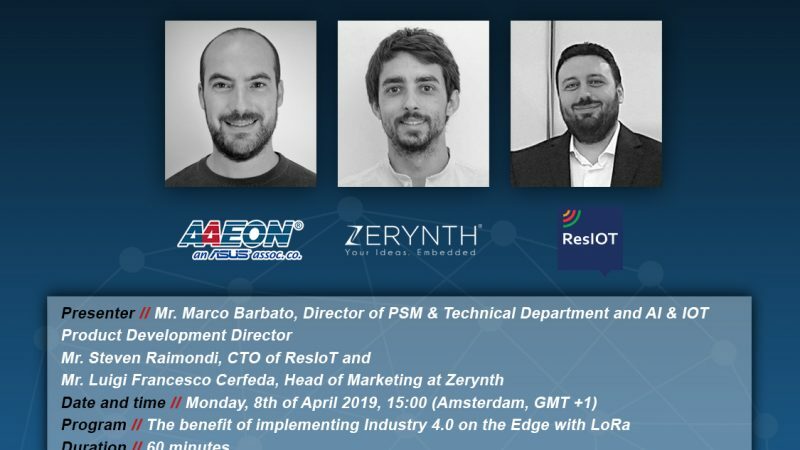 Don’t miss this great chance to meet our ResIOT team and learn more about the developments of the new IoT and LoRaWAN technologies. 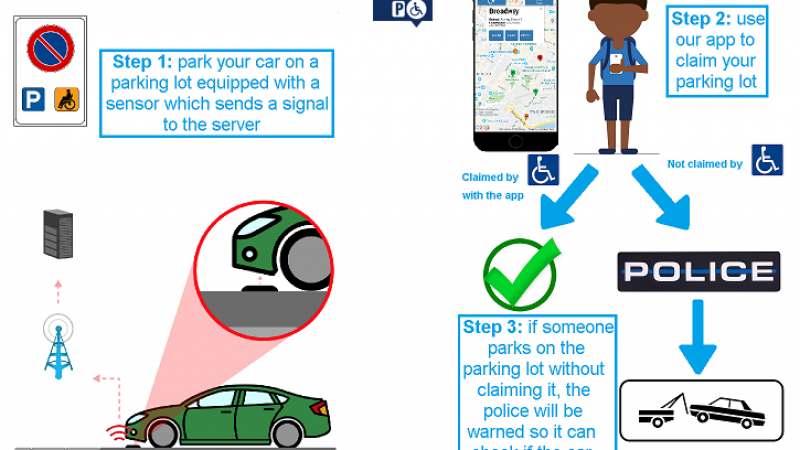 ResIOT Smart Parking For People With Disabilities is a project for the creation of intelligent parking lots. 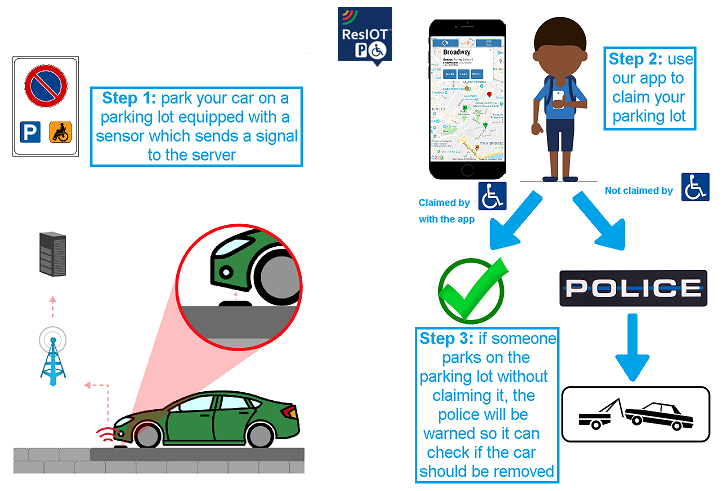 This project aims to simplify the management and control of car parks through the use of our ResIOT platform. 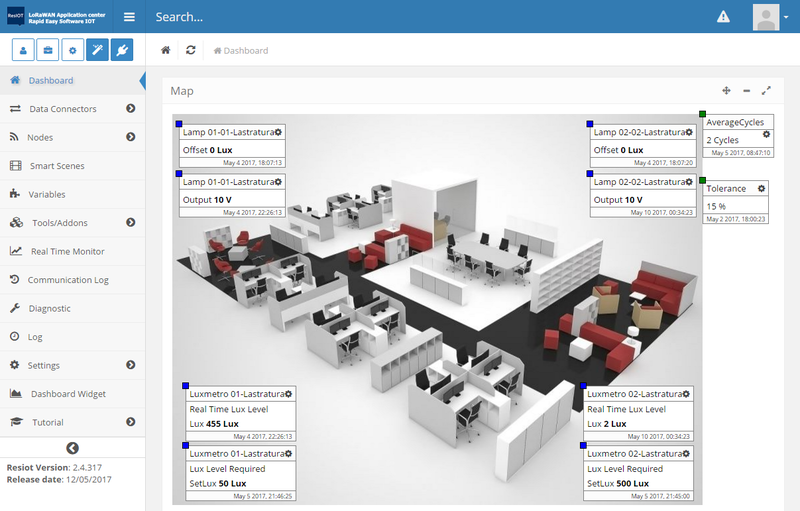 Discover the project components, the app code and the ResIOT devices involved on our Project Presentation Page! With the Multicast term, we mean the simultaneous distribution of information to a group of nodes or sensor. It allows to transmit the same information to more final devices. This possibility avoid the user to direct the information to every single device. On more, the user don’t have to duplicate the information for each device. Two Ascoel Lux readers, placed at different locations, keep reading and transmitting lighting information to the ResIOT network server. 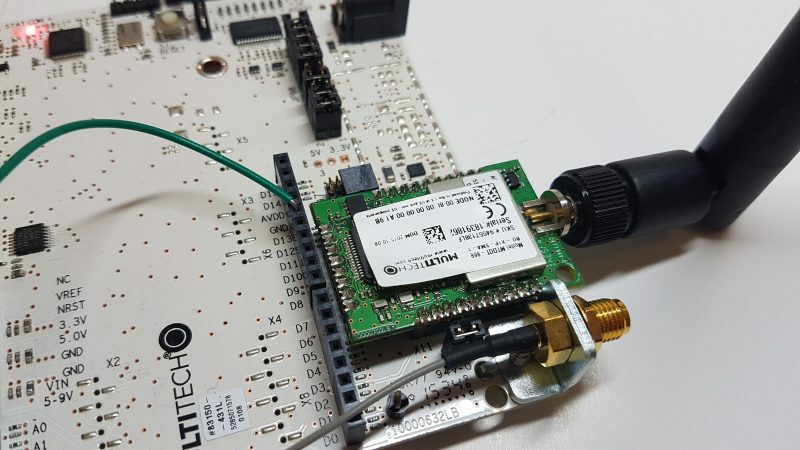 The LoRaWan data is then processed by the ResIOT software which commands two dimmers to output the right 0-10V voltage to power the linked led lamps in order to obtain the desired amount of lighting. 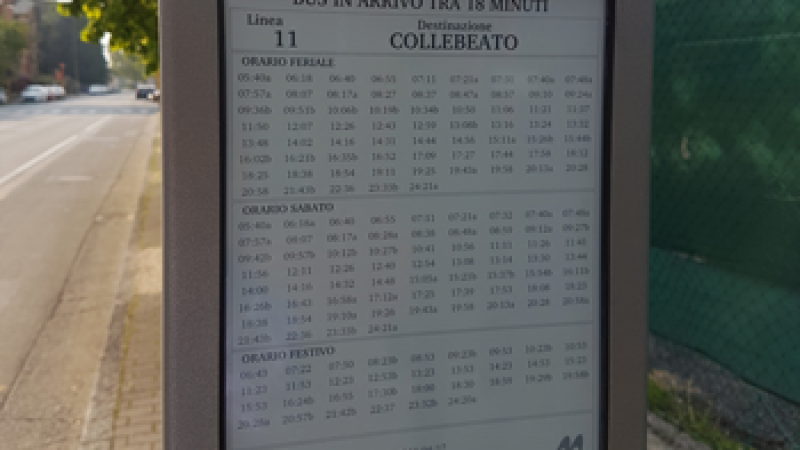 ResIOT worked with A2A Smart City and Brescia Trasporti, part of the Gruppo Brescia Mobilità, and is now proud announce the installation of a digital display using e-paper technology in an A4 paper format. 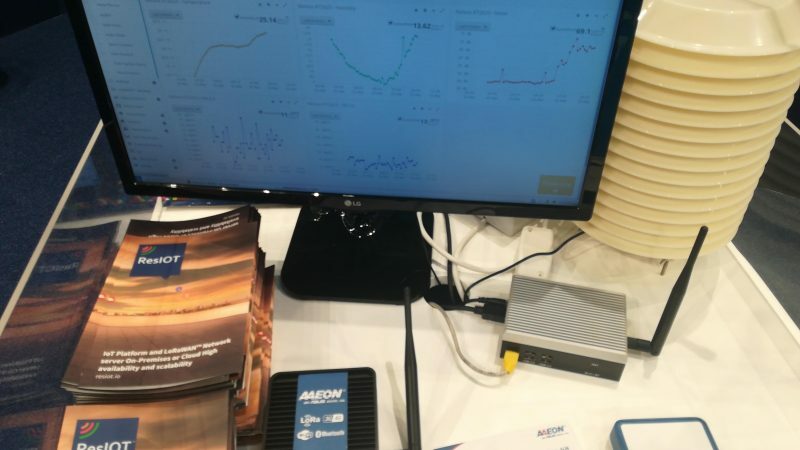 This display is the first solution in the world that can be used at bus stops based on the LoRa wireless network, a Low Power Wide Area Network (LPWAN) communication system, which makes possible a highly performing network of multiple displays with low energy consumption and without the need for expensive SIM cards. 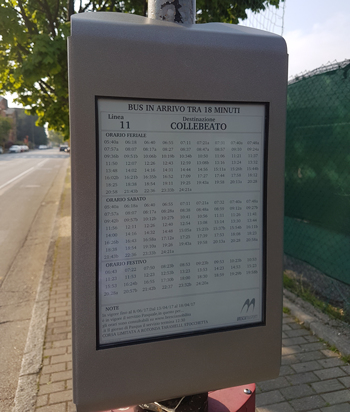 This innovative public information e-paper display, mounted at a bus stop, allows you to show real-time information on bus arrivals, bus routes, detailed schedules, as well as service conditions and emergency communications. Powered completely using a small solar kit, it does not require a power supply through the electrical grid which means a significant reduction of the installation costs.